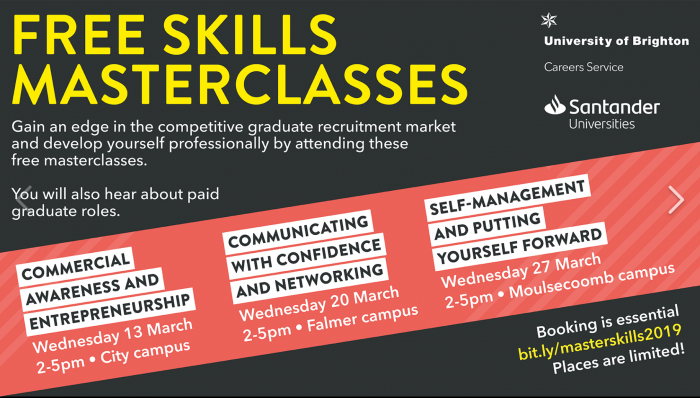 Free Skills Masterclasses! Ideal for final year, masters students and recent graduates. Gain skills from professionals, certificate for each attendee. This entry was posted in Architecture and planning, Design and craft, Digital Media Arts, Fashion and textiles, Film, Fine Art, History of art and design, Interiors, Media, Music, Photography and tagged Careers services.